Product prices and availability are accurate as of 2019-04-23 17:32:15 UTC and are subject to change. Any price and availability information displayed on http://www.amazon.com/ at the time of purchase will apply to the purchase of this product. If you are a wild nature lover, this wolf mug will be a great decor or a functional mug for you! Intricately designed with the base color of blue, this wolf stands out to show the wisdom and instinct of the Alpha Wolf. 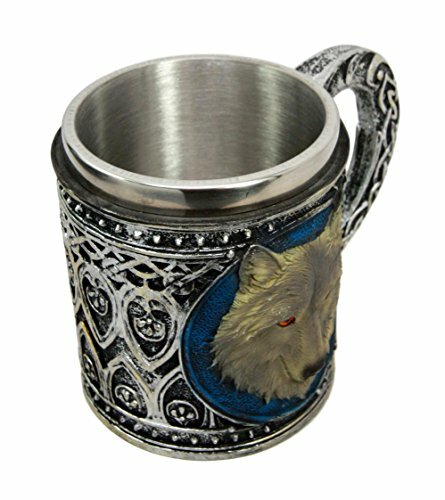 This exotic mug is made of high quality resin, individually hand painted and polished. They are also designed with a stainless steel liner on the rim. Color Tone May vary from pictures. It is 4.25" tall, 6" long and 3.75" in diameter. 16 Fl Oz capacity Handwash only Because each piece is individually hand painted and polished, color tone may vary slightly from pictures. 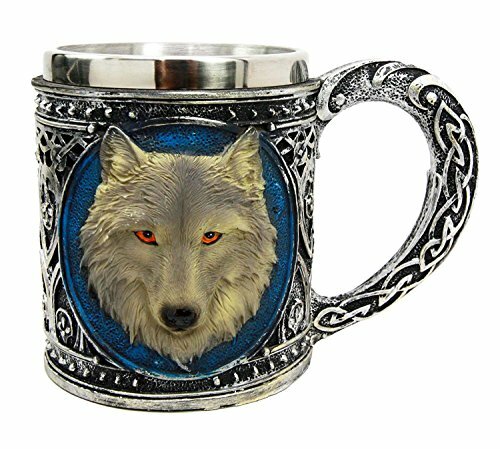 If you are a wild nature lover, this wolf mug will be a great decor or a functional mug for you! 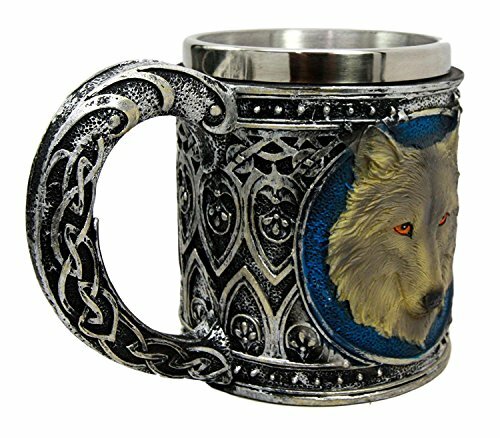 Intricately designed with the base color of blue, this wolf stands out to show the wisdom and instinct of the Alpha Wolf.